Sascha Frangilli brings us a sensational gown called Damatjo. 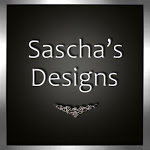 With that in mind, do you feel up to a little Sascha Designs’ trivia? There’s only one question: Who was crowned Ms. Sascha Top Model 2012? Ding, ding, ding if you guessed Damatjo Magic! Her namesake gown is partially mesh, so you have that smooth and realistic looking body and keep the movement of traditional flexis. It’s quite the combination, and, like most of Sascha’s gowns, you have many colors to choose from and many ways to wear it. I felt mysterious today, so I coupled it with the sensational hat. I must admit that I felt rich while wearing Damatjo, so if you like to feel wealthy too, I encourage you to teleport to Sascha’s and get your favorite color. Click here for your limo.